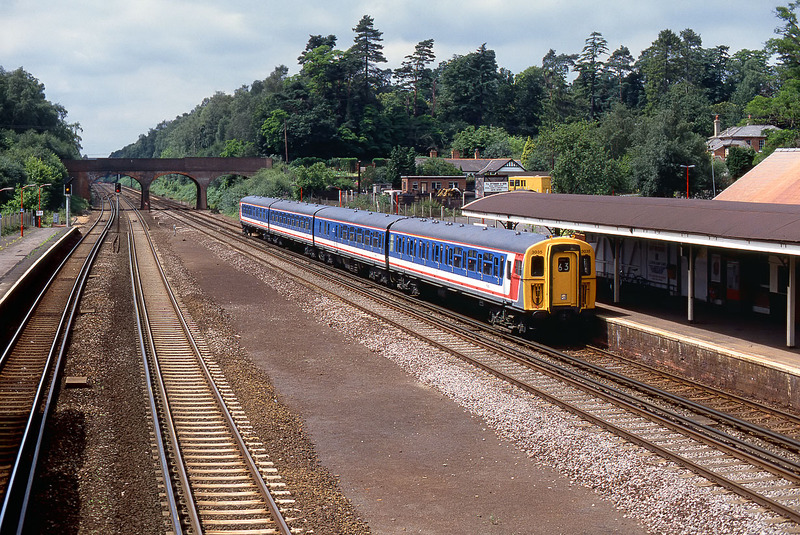 A quiet Sunday at Winchfield on 21 July 1991. Class 423 4-VEP 3035 arrives at the deserted station with the 12:59 Basingstoke to Waterloo Network SouthEast service. Note the large gap in the centre, which shows that the station once had another island platform. Although some modern houses have been built near the railway, Winchfield station is still situated in the middle of a largely rural area, unlike the stations either side, Hook, and Fleet, which are both situated in small towns.